1) We’re losing the cricket. *Sigh*. And I’m sure I single-handedly jinxed it on day one by trash talking too much in the office. Apologies to everyone in England, it’s all my fault. 2) I took my lycra lines to another level today. We went down to St Kilda Supercrits after our ride this morning to watch some of our friends race, and ended up sitting around in ridiculous lycra in the heat of the day. And now my legs look like semi-wrapped hams. There will be no evening this one out in the open air pool. I thought they were bad last week when we went out for lunch and I had a dress on that was shorter than my tanlines (most embarrassing outfit of all time, but it was one of those scenarios when the colour starts to go really blush a few hours after you get back. Awkward). 3) I just finished week 6 of training. This is probably my biggest news to report, and the main reason for this extended radio silence; I completed the first four weeks of very easy, low intensity, low heart rate training, and then moved into two weeks of build. I’ve finally been consistent with my training, but that has meant lots of early nights as I’m shattered. But this evening I took my stripey-tanned hams out for the longest run they’ve done since Las Vegas, and it hurt, but felt awesome to finally feel exhausted again. 4) I wish I did more swim squad training last season. I’ve FINALLY strung together some consistent swim squad training. And my gosh, WHY DIDN’T I DO THIS SOONER?? I don’t feel like drowny mc drown every time I go to the pool any more, and it’s only taken a few weeks of going to squad consistently. I was always so afraid before, but now I LOVE swimming. 5) Back in the hills. Last weekend we tagged along on a 3 Peaks training ride out to Kinglake and it was a rude awakening. I haven’t been out to the hills since July, and even back then I wasn’t very fit. So to think I could hold it together for a tempo ride out to Kinglake was overly optimistic. Went along with some supreme ladies, and they can climb a mountain at the same speed that I time trial down hill with a tailwind. By the time we got home after about 5:30- 6:00hrs of riding, I was cooked. I can’t believe that this time last year we would head out to Kinglake, do three reps of the climb, and then go for an hour’s run afterwards – goes to show how insane ironman training is. Feel a very long way away from that right now. Fortunately, I don’t have an ironman to race. Yet. This week is a bit of a recovery week *APPLAUSE IN MY HEAD* and it’s also getting real close to Mr Santa day, so that means crazy festive drinks and all that fun stuff that totally derails your training. But that’s ok. A few glasses of champagne will no doubt give my training an edge. What else? I’m not sure. I have to go to sleep now. I miss you all. Let’s not mention the cricket again. 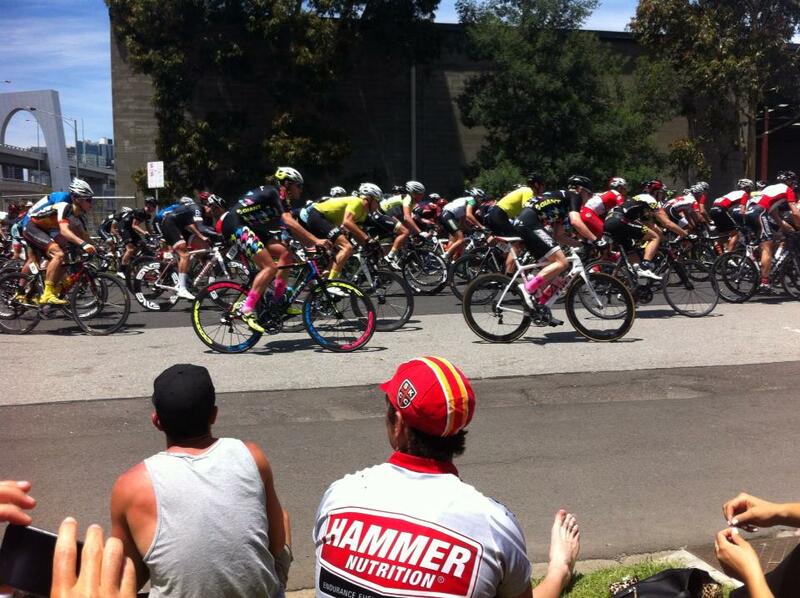 Some action from the supercrits.